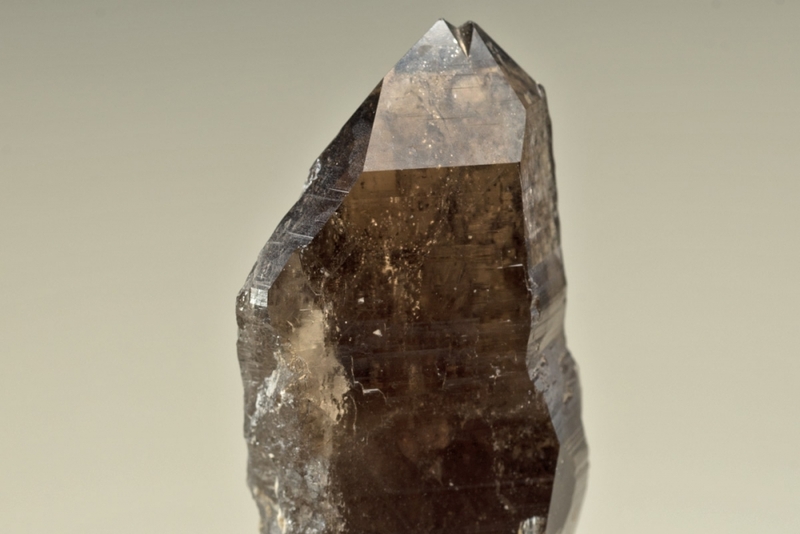 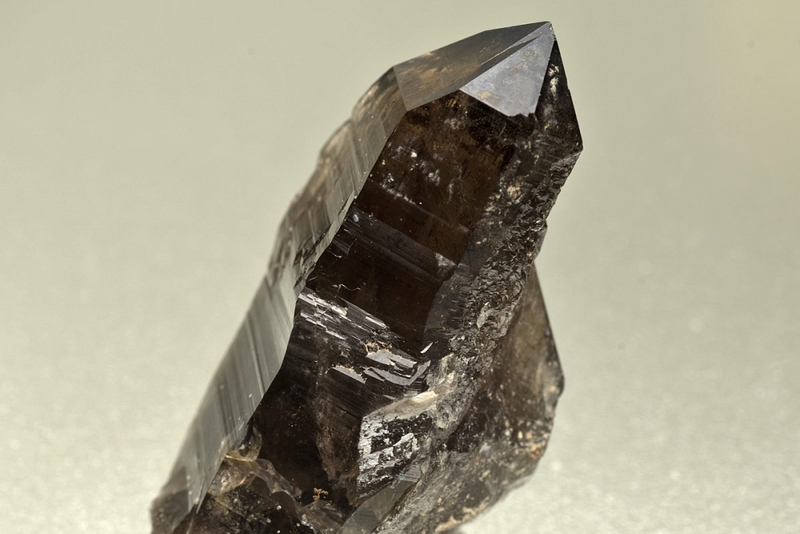 A quite large and pretty smokey quartz crystal from the discovery of a quartz/feldspar pocket about 12 years ago. 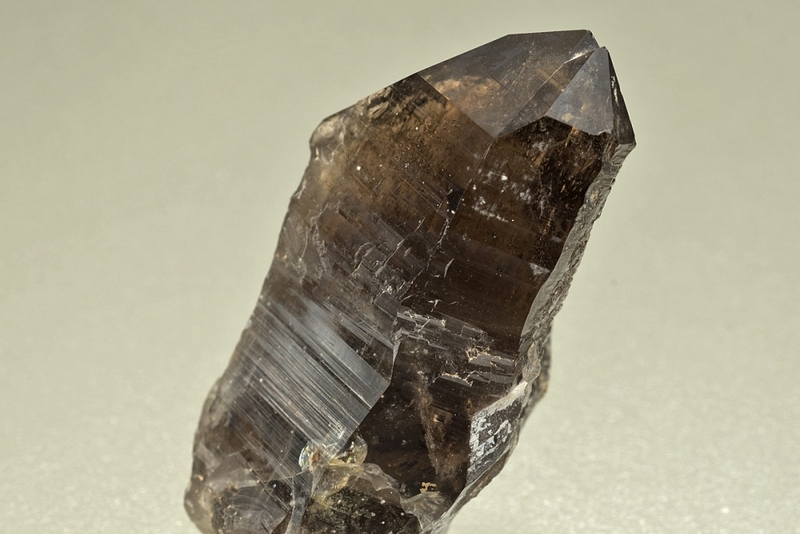 The crystal has a twin termination, is translucent of a rich smokey colour with sharp edge faces some of which are strongly striated. 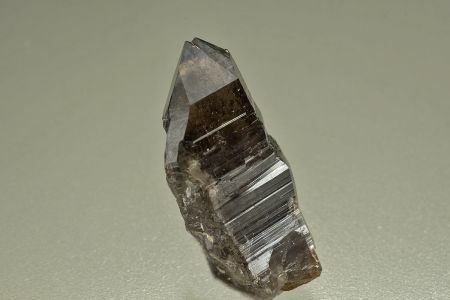 Contacted area on back of crystal.